Don't get caught in the cold with these spliced hoops. 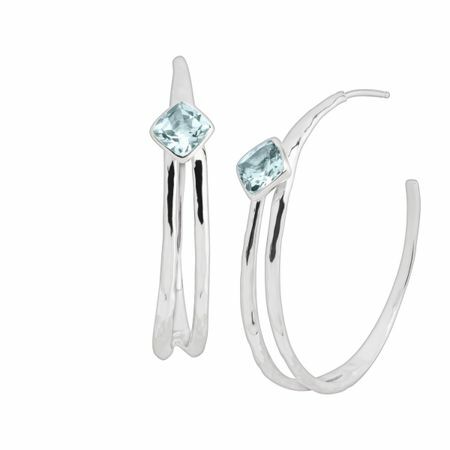 Two tapered strands of sterling silver boast cushion-cut blue topaz stones on either face. This piece is part of our Balinese Collection, inspired by the beauty of Southeast Asia and handmade in Bali using ancient silversmith techniques. Earrings measure 1 1/2 inches in diameter and feature posts with friction-backs. Pieces come with “.925” sterling silver stamps as symbols of guaranteed product quality.